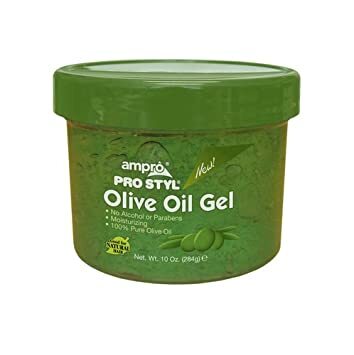 Ampro Pro STYL Olive Oil Gel Review. Does it Flake Your Hair? brown gel back in the days and it always gave me great hold when my hair was relaxed but back then it contained alcohol which is not good for your hair. I was using the Eco Styler Olive Oil gel but that mess flaked up my hair and made it look like I had dandruff! 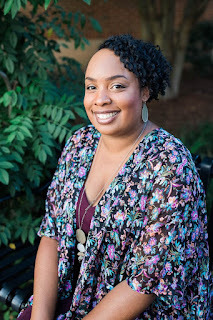 I bought the new Ampro gel at my local beauty supply store and couldn't wait to try it out on my hair! I use it like all my other gels I've used, use it on my two strand twist to get the hold I need with my twistouts without the crunch and flakes. Well.....after using this product I'm highly disappointed! It did give me a good non-crunch hold and also shine, but......I HAD WHITE FLAKES!!!!!! UGH!!! I thought maybe it was because of the other products I used on my hair but that wasn't the case because I gave the Ampro gel another shot on naked hair with same results. What a downer! I even used it on both of my daughter's hair with the same flake results. Is Ampro Olive Oil Gel Worth a Try? Nope! Now it is collecting dust in my hair drawer. Hey Cam! Thanks for contacting me! I would love to learn how to stop the white flakes so I'll be contacting you today.